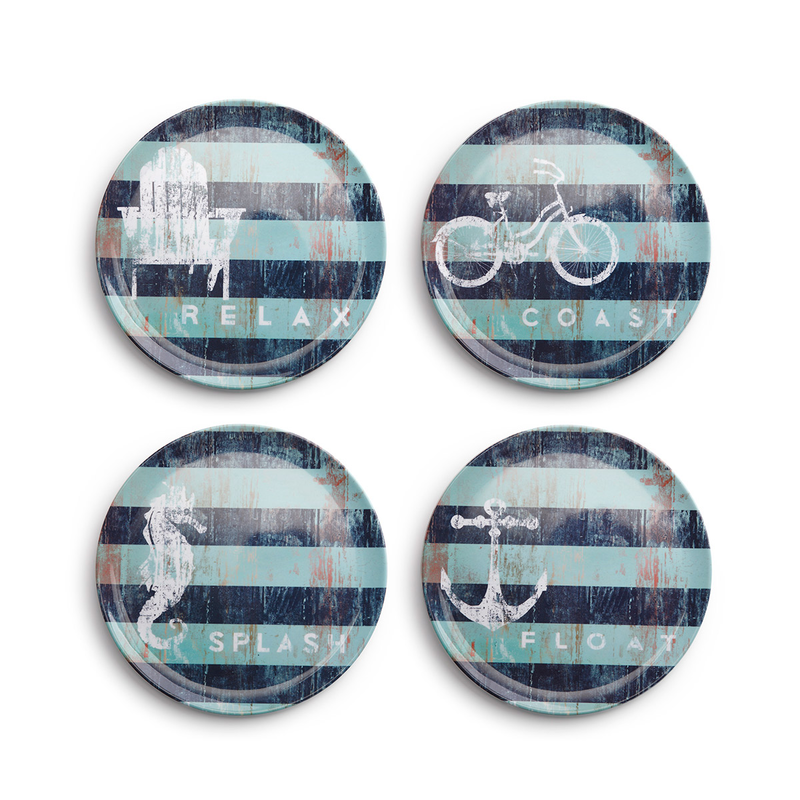 Decorate your kitchen in beach style with the Coastal Words Melamine Plates - Set of 4. This nautical melamine dinnerware is embellished with ocean icons and words on weathered navy and aqua stripes. For additional items, we ask you to take the occasion to explore our entire assortment of nautical melamine dinnerware sets at Bella Coastal Decor today.